Are you a local business owner looking for a way to reach local consumers about the products or services that you offer? 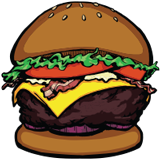 If your answer is anywhere between “ugh, I guess” and “define local,” then you should consider advertising with the Charlotte Burger Blog! We have thousands of viewers a month, and we rarely say anything offensive. If you’re interested in purchasing some (very reasonably priced) advertising space on this site please contact us by filling out the form below.